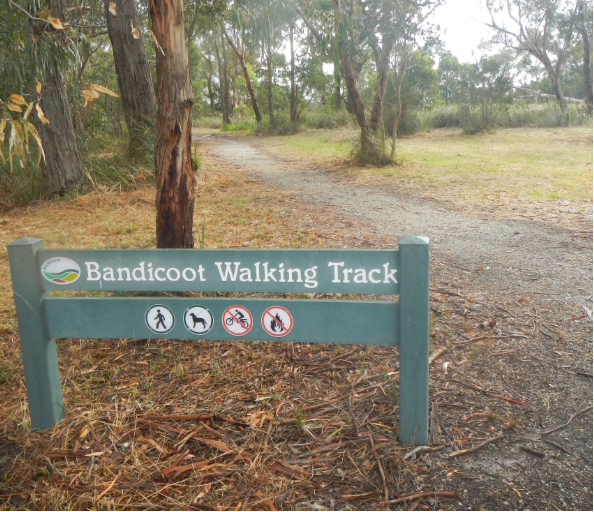 The Longwarry Recreational Reserve is located approximately 90 kilometres south east of Melbourne and contains community facilities, including an oval and sports club and the Bandicoot Walking Track, a popular walking circuit for locals. The Reserve was identified by Baw Baw Shire Council as a potential location for the construction of a stormwater quality treatment system to treat stormwater from an untreated adjacent residential development, provide educational resource and improved amenity in a disused corner of the Reserve, and improve the habitat for the Eastern Brown Bandicoot, a threatened species found in the region. Engeny was engaged to undertake a functional design of the water quality treatment system following the completion of a feasibility investigation, options assessment and concept design. Both the feasibility and functional design were jointly funded by Council and Melbourne Water as part of Melbourne Water’s Living Rivers grant scheme. The functional design for the water quality treatment system included two exfiltration bio-retention basins and connecting swales that were designed to minimise the impact on existing vegetation, maximise maintenance efficiency and stormwater quality treatment benefit whilst minimising risks to public health and safety.